Michael Flynn awaits the arrival of U.S. President Donald Trump for the swearing-in of the White House senior staff Jan. 22 in Washington. Of all the alleged contacts between the Trump administration and foreign governments we’ve learned about in the past year, arguably the most egregious and brazen one had nothing to do with Russia. In March, former CIA director James Woolsey told the Wall Street Journal that he had been present at a meeting in September 2016 at which Michael Flynn, then an advisor to the Trump campaign, met with Turkish government ministers to discuss a plan to abduct Fethullah Gulen, an influential cleric and opponent of the current Turkish government who is currently living in exile in Pennsylvania. Woolsey described the plan as “a covert step in the dead of night to whisk this guy away.” At the same time Flynn was advising Trump, he was also working as a paid consultant for a company with close links to the Turkish government. Flynn, however, didn’t register as a foreign agent until the following March, and the White House claims it did not know about this role when Donald Trump named him national security advisor (a position he was forced to resign from when it was revealed that he had withheld information about conversations with the Russian ambassador). Now, the Journal reports that special counsel Robert Mueller is investigating a plan discussed at a second meeting between Turkish officials and Flynn, this one held at New York’s 21 Club in December 2016, after Trump had named him national security advisor. 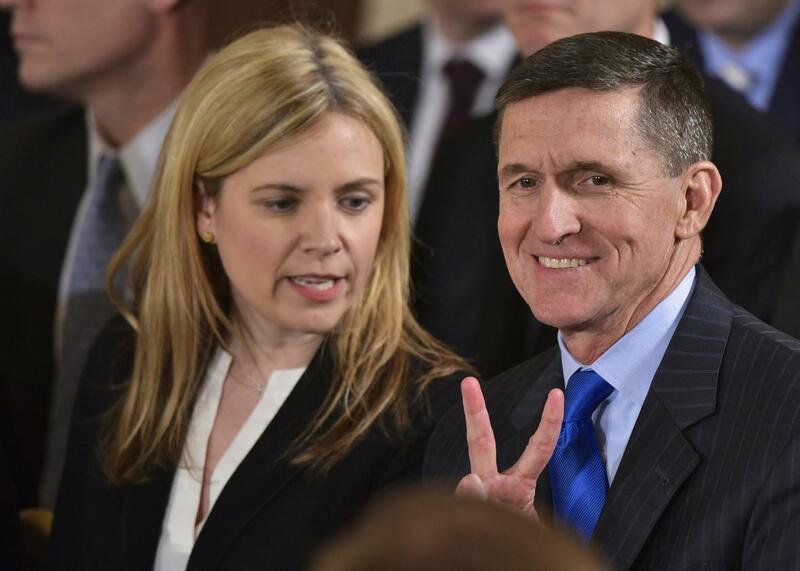 “Under the alleged proposal, Mr. Flynn and his son, Michael Flynn Jr., were to be paid as much as $15 million for delivering Fethullah Gulen to the Turkish government,” the Journal reports. Extraditing Gulen is a major priority for Recep Tayyip Erdogan’s government. Though the two were once allies, the Turkish president blames the cleric and his global movement for orchestrating the failed 2016 coup attempt against his government. Since then, thousands of people have been arrested as suspected Gulenists, including an American pastor who Erdogan appears to be using as a bargaining chip. The U.S. government has been unconvinced by Turkey’s evidence against Gulen, and even if it agreed with Erdogan, a court would have to approve Gulen’s extradition, which could take years. Just months before being sworn in as national security advisor, Flynn appeared to be offering the Turks an opportunity to skip that step. 1. That the president’s national security advisor was on the payroll of a foreign power and had not revealed that fact when he took the job. 2. That he had made recommendations on counterterrorism policy that conformed to the wishes of that government, contrary to what U.S. military commanders generally believed was the best policy for fighting ISIS. 3. That he had discussed a plan with officials of that government, possibly in exchange for money, to abduct a green card holder on U.S. soil, circumventing both official U.S. foreign policy and the U.S. legal system. This is not conjecture. It’s based on official filings, documents distributed by Congress, and the account of a former CIA director. Mueller’s investigation may yet turn up far more dramatic information about the Trump team’s ties to Russia, including the holy grail—evidence of collusion in the hacking of the Clinton campaign. But based on what we already know, Flynn’s work for Turkey is the most egregious example of foreign collusion involving Trump’s team.